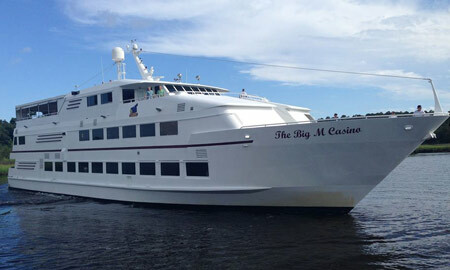 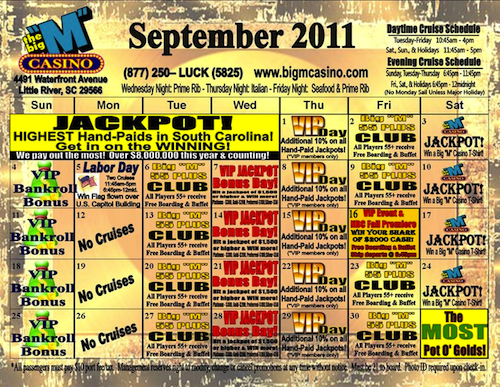 Can you believe that The Myrtle Beach Big “M” Casino Cruise has paid out over $9,000,000 this year! 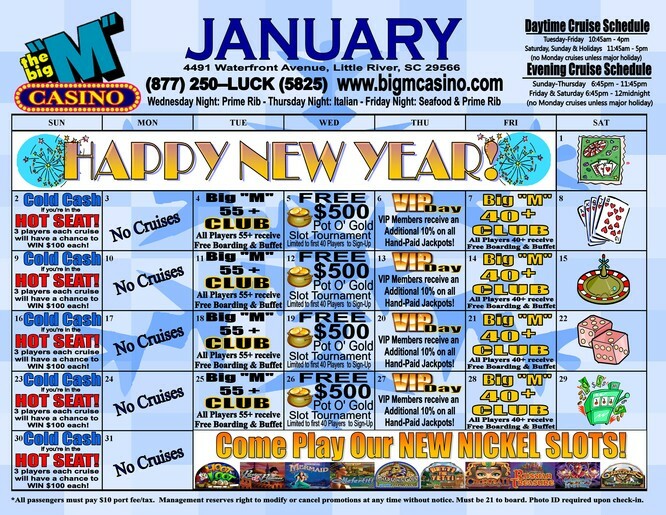 Find out how you can get in on the winning! 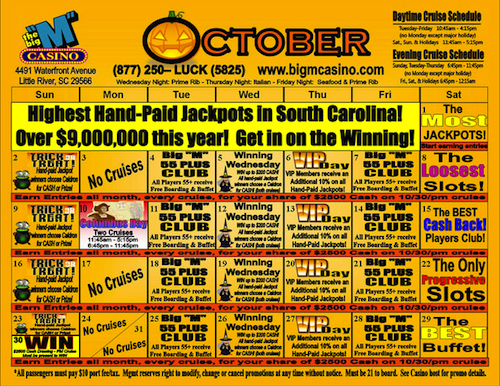 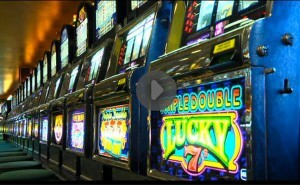 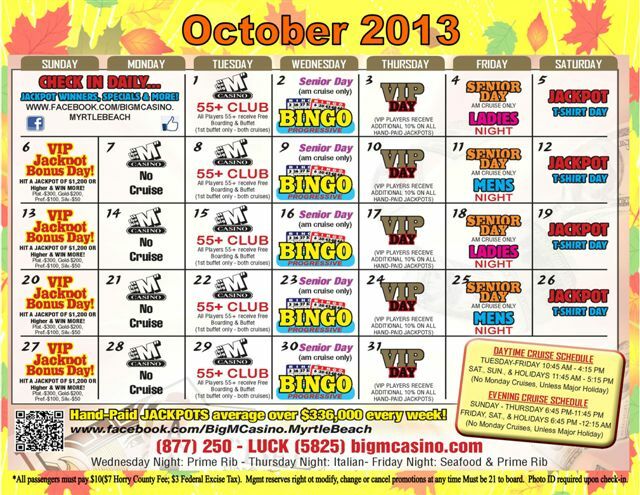 How would you like to be the next Jackpot Winner on the Myrtle Beach Big “M” Casino Cruise? 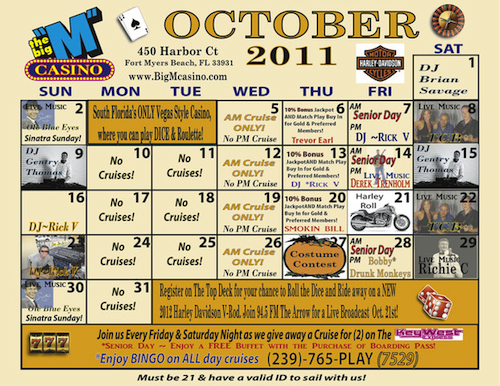 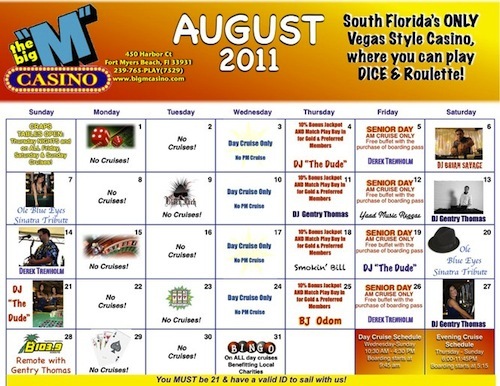 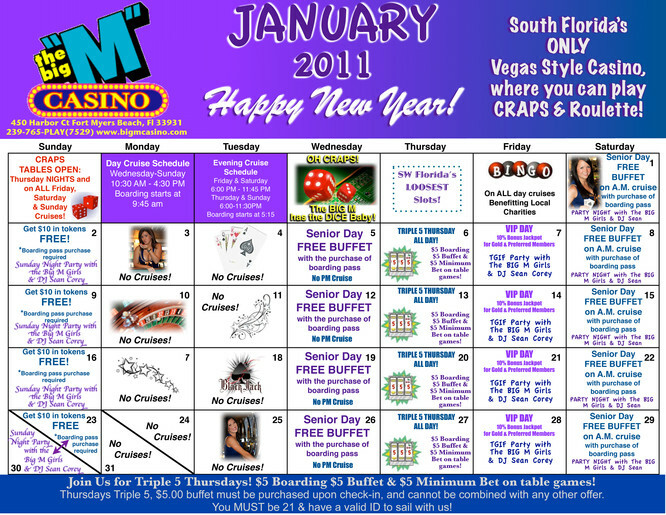 Check out the calendar of events for upcoming specials and events for your chance to win.